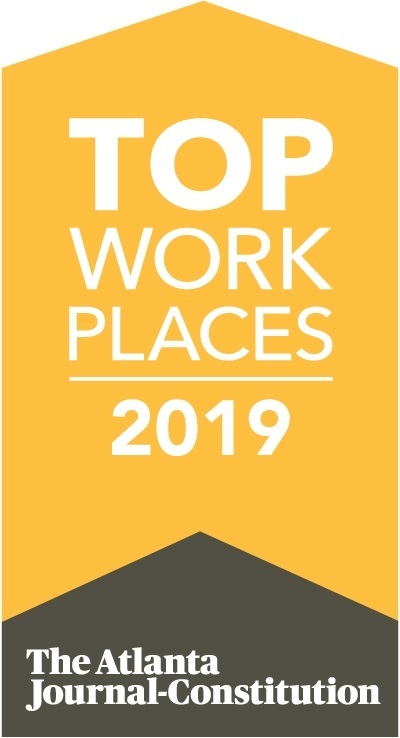 Peachtree Planning Recognized as a 2019 Top Workplace by the AJC for 9th consecutive year! According to the Sunday, March 3rd edition of the Atlanta Journal and Constitution Top Workplaces Special Section, Peachtree Planning ranked 10th in the Small Business Category. There were more than 4,300 companies nominated or asked to participate in the 2019 Top Workplaces contest by The Atlanta Journal-Constitution and its partner, Energage (formerly Workplace Dynamics). Employees across the metro area responded to print and online solicitations that began appearing in September. Using survey results, a list of 150 workplaces was compiled, consisting of 20 large companies (500 or more employees), 55 midsize companies (150-499 employees) and 75 small companies (149 or fewer employees).